(CNS): The three blood samples sent to the Caribbean Epidemiology Centre (CAREC) from three Grand Cayman residents with suspected dengue fever have been forwarded to the Centre for Disease Control (CDC) branch in Puerto Rico. Public Health officials said today (Wednesday, 3 February) that the samples did show signs of the mosquito borne disease and have therefore been sent for further testing. Dr Kumar said that the samples were initially sent to the Caribbean Epidemiology Centre (CAREC) after the three patients were hospitalised with acute viral infections but had since been discharged after treatment and are no longer infectious. “Currently there have been no further reports of similar cases,” he added. 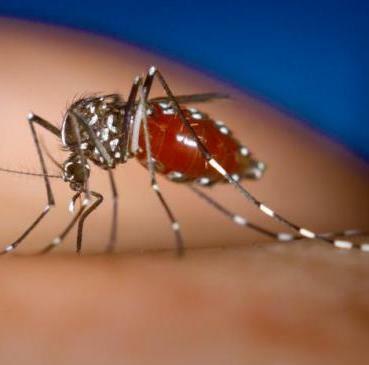 Dengue fever is a disease transmitted to humans by the bites of infected aedes aegyptii mosquitoes. Symptoms are high fever, severe headache, backache, joint and eye pain, nausea and vomiting, and rash. Most people recover, using pain relievers and bed rest, without any complications. Meanwhile, the HS A also reminded residents that the H1N1 vaccine is currently being provided free of charge it will be available at the John Gray High School Health Centre on Wednesday and Friday during February from 3-6 p.m. (Parents must be present), onThursday, 4 February from 5-8 p.m. at Foster’s Strand and on Friday, 5 February from 5-8 pm at Foster’s Countryside and on Saturday, 6 February from noon-4 pm at Kirk’s Supermarket. Next week it will be available on Thursday, 11 February from 5-8 pm at Kirk’s Supermarket, on Friday, 12 February from 5-8 p.m. at Foster’s Strand and on Saturday, 13 February from noon-4 p.m. at West Bay’s Republix Supermarket. Health officials will also be issuing the vaccine on Wednesday, 17 February from 10 am-4 p.m. at the Agricultural Show. The vaccine is also available every weekday between 10 am and 2 pm in the Cayman Islands Hospital’s Atrium. People can also be vaccinated at all district health centres, at Faith Hospital on Cayman Brac and the Little Cayman Clinic every weekday from 2-4 pm. There have been a raft of recent statements on the dengue outbreak? "There is no dengue here, please ignore any reports to the contrary, you are free to spend your money here. There was no earthquake either. Who will rid me of this Dan Duguay?". "We must consider with this outbreak is linked to the recent visit of homosexuals or buddhists"
"What is a fever? How do you pronounce dengue?" "Do these foreign diseases have the right to come here? What is wrong with Caymanian diseases they are the best diseases in the world". "We are investigating the dengue outbreak as part of our corruption enquiry. Can you please send us another $1m and make it quick (before Happy Hour at Senor Frogs)"
This is the first piece of good news I have heard all year. My tapeworm diet was proving to be unsustainably expensive. Where can I sign up for the Dengue and the Gastroenteritis I keep hearing about? Based on my own experience in the Pacific, the three milder versions of the disease produce an unpleasant but short-lived illness. The advice given to me was that this was nothing to get excited about, it was all part of life in the area and exposure produced lifetime immunity to the strains involved. However, the year after my visit one of the islands was hit by a severe outbreak of the potentially lethal haemorrhagic strain, which was apparently only brought under control by a determined programme to kill off the mosquitoes carrying the disease. Many countries impose basic, but very effective, disease control measures such as spraying the interior of inbound aircraft to kill any mosquitoes on board – it may be time for Cayman to consider similar options. I had dengue fever as a teen and I would classify it as more than an unpleasant illness. I was hallucinating, evey bone in my body felt like it was broken, my eyes felt like they were going to drop out of my head, extreme fever and chills. I was sure I was going to die. I don’t remember how long I had it for but glad to know that apparently I’m not immune as I wouldn’t want to get it again. Can anyone tell us where this was found so we can take extra precaution? ?.It could save lives and money spent in hospital .WHY everything that can HARM us is kept TOP SECRET in the Cayman Islands???????????? Unfortunately Caymanians are not known for their calmness and maturity. Weall know there would be a wild panic and riots at the hospital as people tried to get medicines regardless of the fact that they didn’t work.